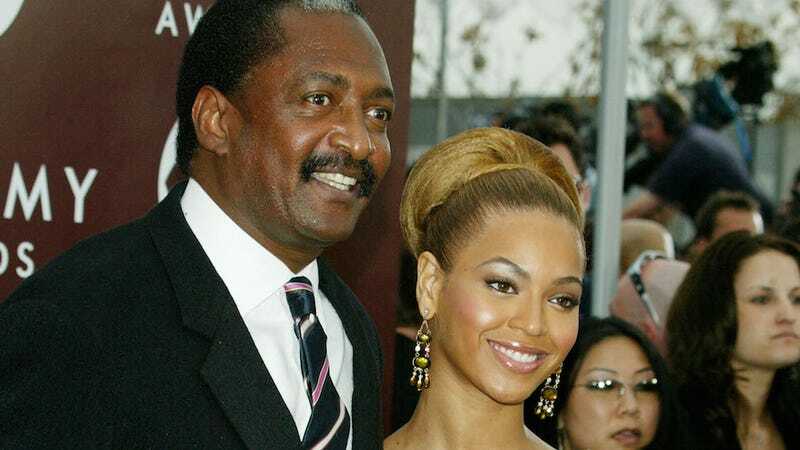 Mathew Knowles, father of Beyoncé, was reportedly shopping around a Destiny's Child biopic to Sony last year, according to the latest hacked emails. Just like Mathew, that movie would've disappointed us all. Beyonce's dad tried to cash in on his famous daughter's name last year with a Destiny's Child biopic ... according to the latest batch of leaked Sony emails released by hackers. Mathew Knowles reportedly reached out to Sony in December 2013 ... offering the studio first dibs on a movie about the girl group — and execs seemed into the idea. Although that deal never materialized, there's the sad news that Lifetime might pick up the biopic. The network is "reportedly planning a D.C. movie next year, but unclear if Mathew's behind that one." Let's not do this.